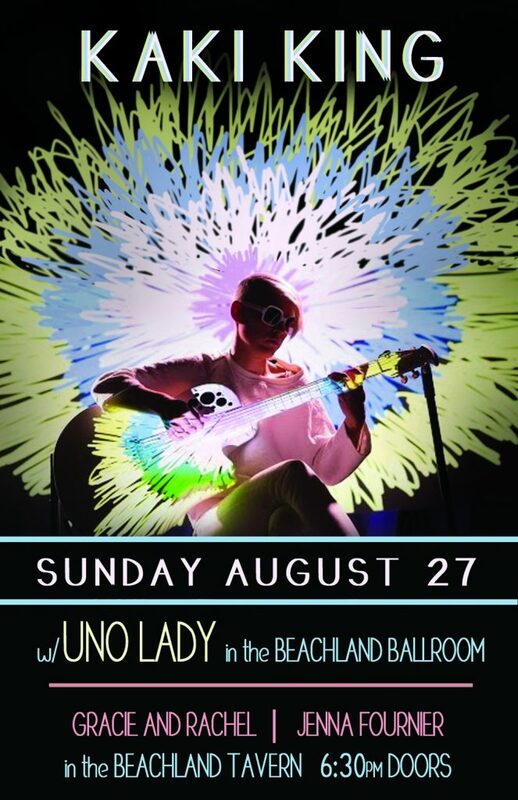 Beachland Ballroom- Sunday, August 27th doors @7, show at 8. Provocative and moving, surprising and beautiful, “The Neck is a Bridge to the Body” is Kaki King at her visionary best. A groundbreaking multi-media show like nothing you’ve seen before! Your admission into the Kaki King with Uno Lady show also gets you into the Tavern to see Gracie and Rachel with Jenna Fournier at Beachland Tavern. Get your Kaki King tickets in advance here.